I got my Bachelors Degree in 1993 and have been in sales since 1996. I moved to real estate industry in 2001 and have been continuously active as a full-time Real Estate Sales Representative since. 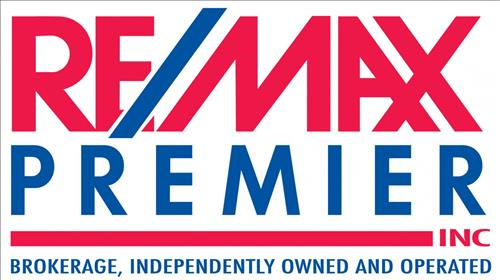 I started as a Residential real estate representative with Re/Max (Largest Real Estate Brokerage in Canada). To this date, I have been gaining years of valuable experience in both residential and commercial real estate. I am proud that I have been able to help so many families make informed real estate investment decisions over the years. Real Estate has been my passion for the past thirty years. decision for the years to come. We have been working with Peter Mehrabi since 2002 and after having so many bad experiences in Real Estate, he made Real Estate transactions for us so smooth, easy and profitable. Further he helped us to make the biggest investment in our life the right one. With his knowledge and expertise we purchased a very profitable Plaza with national triple A tenants. We are very happy with his service and we recommend anybody that wishes to buy or sale Real Estate to talk to him first. He is one of the BEST, always thinking of his client needs and wants first and I am so happy that he is my life time REALTOR. Best agent in Toronto. Honest, reliable and extremely trust able Agent I've ever known! I have been working with Peter Mehrabi since 2005, I have purchased over 10 properties and sold over 5 properties with him. He is a very professional Real Estate Agent, specialised in Residential and Commercial. If you want everything taken care of professionally he is the one you should call. He suggested Lawyer, Mortgage Specialist, Contractors and Inspectors whom they were very knowledgeable like himself. Mr. Mehrabi You made my sale and purchase very smooth, acted very professional along the way, and I am very happy that I listed my previous house and purchased my current house with you. Peyman I am very happy with your service. You provide a very high level of professionalism, expertise and knowledge. I knew that you are a very good real estate agent but what I experienced was more than my expectation.